Scribbled in ink on a Post-it note and affixed to a mirror next to her desk in her Ooltewah office, the quote is attributed to Marvin Phillips. “I don’t know who he is but I like what he said,” Darnes says. A casual observer might think the whimsical aphorism offers Darnes the inspiration she needs to muscle through a rough day at work. But this is no trite saying to the 54-year-old Realtor; it’s a guiding principle that has helped her turn what could have been devastating circumstances into personal and professional victories. One such episode was both a personal and professional setback: when Darnes lost her house during the Great Recession. While she wasn’t alone in suffering the stigma of foreclosure, she felt especially embarrassed because of her profession. “I knew I’d bounce back and be successful; so, I kept smiling and stayed positive,” Darnes adds. Darnes’ efforts paid off. In addition to Crye-Leike honoring her for outstanding sales by making her a lifetime member of the company’s Multi-Million Dollar Club, her achievements in residential real estate helped her to obtain the Certified Residential Specialist designation – a title held by only 29,000 of the 1.2 million Realtors in the U.S., according to the National Association of Realtors. As a Realtor, Darnes is defined by more than a willingness to work hard; she’s also known for her savvy marketing. This is evident in the details she pours into her listing remarks on the multiple listing services operated by the Greater Chattanooga Association of Realtors and the River Counties Association of Realtors in Cleveland, Tennessee. Darnes’ insistence on integrity has paid off: most of her business comes from referrals and repeat customers. Following in the footsteps of honesty is persistence, which Darnes exhibits through her negotiating skills and salesmanship. When a couple recently asked her to find them a rental, she asked, “Why not buy?” The pair said they didn’t want to purchase a home because Realtors had burned them in the past. Darnes told them they would be spending $1,500 on rent instead of $1,000 on house payments, showed them a few properties and had them under contract in less than a week. Darnes also prides herself in being her clients’ right hand. This is evident in the way she’s ready to answer any question and tackle any issue – day or night. “My phone never leaves my side,” she says. It can also be seen in her unique value-added service: removing the clutter from her clients’ houses – and minds. Although Darnes has been a Realtor for 12 years, she’s wanted to sell real estate since her late teens. She didn’t have the confidence for it at that time, though, so she entered the legal profession instead. She started out as a skip tracer in Idaho, where she grew up, then became a legal secretary. After moving back to Tennessee, where she was born, she earned an associate’s degree at Cleveland State Community College and became a paralegal. Darnes kept her job as a paralegal for nine months while she met with real estate clients and did cold calls during the evenings. Eventually, she was doing well enough to quit her day job and became a full-time Realtor. Darnes has never looked back or stopped pressing forward. In addition to earning her CRS designation through a combination of professional achievements and class work, she’s obtained the LeadingRE Relocation Specialist, At Home with Diversity and e-PRO certifications. She also supports her profession by being an active member of GCAR, where she serves on the Professional Standards Committee, and RCAR. 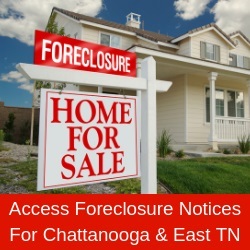 Darnes is licensed in Tennessee and Georgia and serves buyers and sellers in and around Hamilton County. Real estate is more than a means of making a living to Darnes, though. It has provided her with her immediate family. The relationships Darnes has forged through her work have helped to fill a void that exists because of her commitment to her profession: she has no significant other. Darnes married in her mid-twenties but left that relationship before her son was born and has been single ever since. Although she’s dated, finding someone with staying power hasn’t been easy. “That’s been stressful because we’re both strong-willed women, but we’ve survived,” Darnes says. Seated at her desk at Crye-Leike, Darnes has progressed from talking stoically about her work to warming up as she discusses her clients and family. But one question, inspired by the curly sticky note on her mirror, catches herdl off guard: What is your greatest triumph? Darnes wipes her tears and shifts her thoughts to a lighter topic. With winter moving in, she’ll have to put her favorite activity – yardsaling – on the shelf until spring. This is her “me time,” when she focuses on herself and what makes her happy. “I feel like a kid in a candy store when I find the one item that makes me giddy,” she says. Many of those unearthed artifacts end up at her booth at Gateway Antiques Mall on Cloud Springs Road. Although a few months of slim pickings lie ahead for Chattanooga’s “Realtor picker,” she’s stocked her space with plenty of items for the months ahead. Even though the booth represents more work, Darnes refers to it as her hobby. Her phone stays with her, though, and she’s only a call or a text away from slipping into work mode. Her dedication and responsiveness make her one of Crye-Leike’s treasures, Griess says.